Julissa Arce at her 2016 author event at Jackson Heights Library. For an undocumented immigrant, what is the true cost of the American Dream? In her new memoir, My (Underground) American Dream, Julissa Arce examines that question. Julissa joined us at Jackson Heights Community Library on September 17, 2016 to discuss her memoir, her success on Wall Street, and more with New York State Assembly Member Francisco Moya. Over 70 customers packed the room to listen to Julissa as she told her inspirational story, and another 45 came to a special version of the discussion held entirely in Spanish. “I don’t think that the risks I took or the stress I was under were any greater than the risks that any undocumented immigrant who came here in search of a better life takes any time they go to work,” said Julissa. She shared the two important things that her mother taught her early in life: that education was her way out of poverty, and that there are a million things that you cannot control in life, so you should focus your energy on the things you can control. Julissa spoke about her parents’ hard work and dedication and how that served as the drive for her to succeed at an early age. Their example has also led her to try to change the national conversation about immigration and who immigrants are, and show how hurtful the language and stereotypes used to refer to immigrants can be. An ironic part of the discussion centered on the fact that in 2001, her home state of Texas was the first one to pass a DREAM (Development, Relief, and Education for Alien Minors) Act to help undocumented students. Governor Rick Perry presented her with a $10,000 college scholarship and a plaque that called her “a ray of hope and the future of Texas”—but years later, when he was running for President, he was against DREAM legislation. Julissa has decided to use her story to fight for the rights of immigrants and undocumented young people. In addition to writing her memoir, she is the chairman and co-founder of the Ascend Educational Fund (AEF), a college scholarship and mentorship program for immigrant students in New York City, regardless of their ethnicity, national origin, or immigration status. Her advice to Assembly Member Moya (who has been advocating for a New York DREAM Act for five years) and others trying to secure tuition assistance for college-age undocumented students is to vote in local elections and work with people like her to humanize immigrants and help tell their stories. Julissa also talked about how hard it was to reconcile the fact that she had achieved the kind of professional and financial success that defines the American dream, but wasn’t able to legally be part of what defines America. She was driven to make it to the top, she said, but constantly had to hold herself back to protect her secret. The highest cost of pursuing her dream, she said, was not visiting her sick father in Mexico, for fear of not being able to return to the United States. Her father died in 2007 while she struggled with that decision, and before she could see him again. “This story that I share with you happens to many, many people,” said Julissa, “who never get to see their parent or their daughter alive again.” It led her to begin questioning the “golden cage” she was in and ask herself whether her situation was really worth it. After receiving her green card in 2009, and feeling the freedom that went along with it, she was motivated to become an author and speaker instead, and help others like her become free as well. 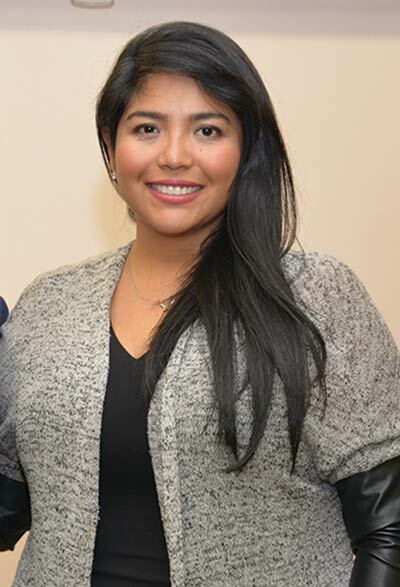 Since Julissa Arce’s event at Queens Library in 2016, the political climate in the United States has become increasingly contentious for immigrants, including the January 2017 executive order limiting travel to the U.S. from certain countries, and by all refugees; several reports of immigrants of various status being detained and deported without due process; and the unproven assertion from the current administration that crimes committed by undocumented immigrants are on the rise in the U.S.
We asked Julissa for her comments on the current state of affairs and what organizations like Queens Library can do to continue supporting immigrants regardless of their status.